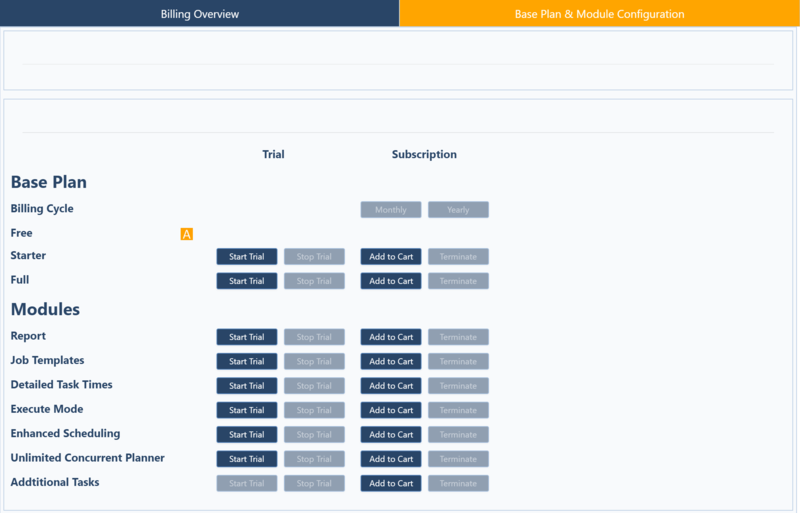 With the current architectural change to a more modular just plan it experience, we also decided to build the infrastructure for an automated billing and payment process, which now applies to all customers (already existing and new ones). You can access the billing and payment functionality via "Settings" (note: will get changed to "Account" soon) by clicking the icon indicated on the left hand side. Here is the impact of this new billing and payment infrastructure. We offer a lifelong price guarantee. Hence, the amount that current customers pay us remains the same. However, going forward you need to pay via credit card. We already prepared the next invoice for you - independent if you are on a monthly or an annual payment term. However, you need to add credit card details to your just plan it account to guarantee a seamless user experience. Here is a video that shows you how to do this. By the way: your credit data is secured following the highest security standards as we use a service that is PCI Level 1 certified. Here is a video that shows you how achieve the above. We are confident that the automation of billings and payments will further streamline our collaboration. In addition to this, it will free up some resources on our end that we now can use to further develop and enhance our production scheduling software. And by the way, if you are neither a just plan it customer nor using the FREE plan, time to get started now!